Accident litigation law firm of Roy J. Bell, III in Honolulu provides legal assistance and aggressive representation to people with accident or personal injury claims. Since 1978, Honolulu personal injury attorney, Roy J. (""Roby"") Bell, III has successfully represented clients injured as a result of: -Auto accidents -Work site accidents -Premises liability -Defective products -Insurance bad faith -Construction Accidents -Personal injury in Honolulu Attorney Roy J. Bell has a proven record of success as a trial and personal injury attorney who has recovered millions of dollars for his clients in trials, arbitrations, and settlements. 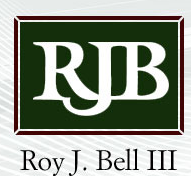 In 1997, Honolulu accident lawyer, Roy Bell, founded Roy J. Bell III, Attorney at Law, A Law Corporation, a highly regarded and successful plaintiff personal injury law firm located in Honolulu, Hawaii. For a detailed description of the law firm's personal injury practice, please see the Practice Areas Overview page to learn more about the Honolulu personal injury law. Trusted and Experienced Personal Injury Lawyer Well-known and well-respected by his peers, and appreciated by thousands of the clients he has represented, Attorney Roy Bell has won multi-million dollar recoveries for his clients in auto accident cases involving catastrophic injuries, including spinal cord injuries, brain injuries, or wrongful death. He has taken on major manufacturers for clients injured or killed by defective products, and has successfully sued insurance companies whose policy holders were stonewalled or treated unfairly. 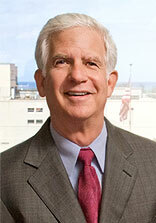 He has won major victories in medical malpractice, workplace accident, and slip and fall cases. Highly Acclaimed Honolulu Personal Injury Attorney Attorney Roy J Bell, III is the co-author of the Hawaii No-Fault Insurance Practice Guide, and the Hawaii Motor Vehicle Collision Manual. In addition, he is a frequent lecturer at tort law seminars on personal injury, medical malpractice, and insurance bad faith. He is the past President and member of the Board of Directors of the Hawaii Association for Justice (formerly Consumer Lawyers of Hawaii), a member of the American Association for Justice (formerly American Trial Lawyers Association), and is a member of the Hawaii Judicial Arbitration Commission, having been appointed to the position by the Chief Justice of the Hawaii Supreme Court in 1998. The Honolulu attorney Roy J. Bell, III has attained an "AV" rating from Martindale Hubbell, a national directory of lawyers, which is the highest possible rating a law firm can be awarded. An ""AV"" from Martindale Hubbell indicates preeminent legal ability and the highest ethical standards. Honolulu Injury Lawyer, Roy J. Bell, III, Esq. Fights for his Clients If you, a friend, or family member is seeking an experienced, ethical, and successful personal injury lawyer in Honolulu who will fight for you, contact Roy J. Bell III, Attorney at Law, A Law Corporation for a free initial consultation. There is no fee unless we successfully obtain recovery on your behalf. The Honolulu Personal injury lawyer, Roy J. ("Roby") Bell, III, Attorney at Law, provides legal services to clients with personal injury cases to help them get the compensation they deserve for their injuries. Personal Injuries If you are injured because someone else has been negligent, or acted maliciously and caused you to be hurt, you should speak to a personal injury lawyer. It may harm your case if you wait too long to consult a lawyer. Ways you can be Injured Even the most careful individuals get injured. Although you may think your injury was an unavoidable accident, sometimes that accident happened because someone did something to cause it. Types of Personal Injuries You may not be aware of all the injuries that can be typified as personal injuries. As a trial attorney and personal injury litigator, attorney Roy J. Bell, III can assist you in determining if your injury was due to the fault of another person or company. These injuries are classified as ones for which a personal injury litigator can assist you: -Automobile Accidents -Defective Machinery -Dog Bites -Head Trauma -Medical Malpractice -Motorcycle Accidents -Premises Liability -Product Malfunction -Professional Malpractice -Slips and Falls -Spinal Cord Injuries -Traumatic Brain Injuries -Truck Accidents -Workplace Injuries A Honolulu Personal Injury Lawyer Can Help Roy J. Bell, III, Esq. is fully qualified to represent you in a personal injury lawsuit in Honolulu. Attorney Bell has over 30 years of experience representing people hurt at the hands of another. He has demonstrated time and time again that fair practices, knowledge, and experience wins personal injury lawsuits. Attorney Roy J. Bell, III is an author and lecturer, as well as a known authority on personal injury laws in Hawaii. He has recovered multi-million dollar settlements for clients suffering from spinal cord injuries, traumatic brain injury litigation, and professional and medical malpractice cases. Attorney Bell, a personal injury lawyer in Honolulu, is not intimidated by large corporations or insurance companies. He is a respected individual who gains the attention of the negligent parties by his professional demeanor, integrity, and extensive knowledge of personal injury laws. Call the Honolulu personal injury law firm of Roy J. Bell, III, Attorney at Law at 808-533-1163 to schedule a free initial consultation to discuss your case. If you would prefer, submit our quick contact web form and a member of our staff will contact you promptly. Attorney Roy J. (""Roby"") Bell, III was born and raised in New Castle, Kentucky, a small tobacco farming community in Central Kentucky. He attended the University of Kentucky where he received his Bachelor of Arts degree in 1969, and received his Juris Doctor degree from the University of Kentucky College of Law in 1975. Lawyer Roy J. Bell has lived in Hawaii continuously since 1976. He worked at the Department of Hawaiian Home Lands under Billie Beamer in 1976 while waiting to take the Hawaii Bar Exam, and after being admitted to the Hawaii State Bar, entered private practice in 1977. Based in Honolulu, Attorney Roy J. Bell has been a member of the Hawaii Bar since 1976 and is also admitted to practice law in Kentucky. Since 1978, Honolulu accident attorney Roy J. Bell has concentrated in personal injury litigation, representing clients injured as a result of auto accidents, workplace accidents, medical and professional negligence, defective products, insurance bad faith, and slips and falls. He began his personal injury career as an associate in the law firm of Schutter, O'Brien & Weinberg. He then became a partner in Weinberg & Bell before starting his own Honolulu personal injury law firm, Roy J. Bell, III, Attorney at Law, A Law Corporation, in 1997. Over the span of almost 35 years, attorney Roy Bell has helped his clients recover millions of dollars through trial, arbitration, and settlement in areas such as premises liability and construction accidents. Attorney Roy J. Bell's continues to provide personalized, quality legal representation for seriously injured clients. He has attained the highest possible rating of ""AV"" from Martindale Hubbell, the national directory of attorneys. This "AV" rating indicates preeminent legal ability and the highest standard of ethics. His experience in personal injury litigation has provided lawyer Roy J. Bell with access to nationally recognized experts and consultants from a diverse array of fields, such as accident reconstruction, to attain favorable results for his injured clients in Honolulu. If you would like to speak to attorney Roy J. Bell or a member of our staff, please call us today at 808-533-1163, or submit our quick contact web form.